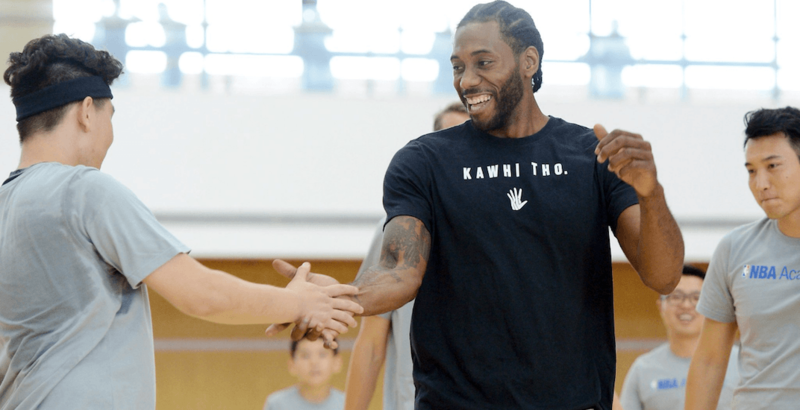 If there’s one thing Raptors fans have learned about Kawhi Leonard since last month’s shocking trade, it’s that he’s not much of a talker. Kawhi’s an introvert, so it’s not always easy to know what he’s thinking. While we’ve heard a lot from DeMar DeRozan since the deal, all intel from Toronto’s new superstar has come second-hand. Addressed to “San Antonio,” Leonard thanked the Spurs’ organization, coaching staff, teammates, and fans for their support during his seven years with the franchise. “While I’m looking forward to the next chapter in my career, I’ll always remember the city and the people of San Antonio,” Leonard wrote. It’s interesting to note that while Leonard said he’s “looking forward to the next chapter” of his career, he didn’t specifically mention his new city, or his new team. That leaves Raptors fans still wondering where they stand, which is something they might have to get used to. It’s likely to be a season of wondering and hoping for the Raptors, as they try to convince their quiet superstar to re-sign beyond the 2018-19 season.